If you have sleep apnea, the first step in obtaining treatment is visiting our office for a thorough consultation. We are able to help determine the cause of your sleep apnea and provide you with a treatment plan that is specially tailored to you. Depending on your overall health and the cause of your condition, your sleep apnea treatments can include lifestyle changes, therapies, and surgery. Milder sleep apnea cases can be treated with a lifestyle change. Your doctor may recommend losing weight, changing sleeping positions, avoiding alcohol intake, and quitting smoking. If these measures fail to make a significant impact, then there are other sleep apnea treatments that can be sought. Continuous positive airway pressure is also known as CPAP. In this treatment, a mask is placed in the mouth or nose when sleeping. The mask is plugged onto a machine which ensures a continuous flow of air in the nose or mouth. 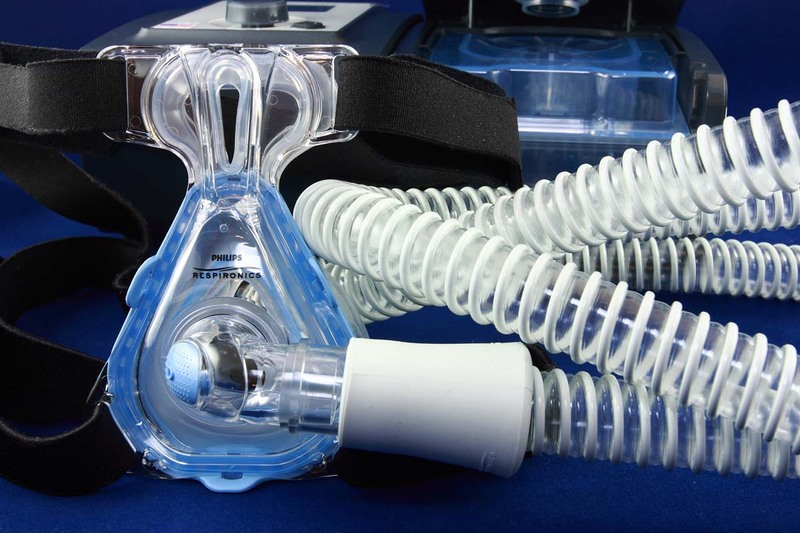 CPAP is often recommended for patients with moderate to severe cases of sleep apnea. CPAP works by delivering a greater amount of air pressure in the nose than that in the atmosphere. The air supply is just enough to ensure the air passages remain open, preventing snoring and apnea. The CPAP device can be uncomfortable, but with time, patients learn to adjust the straps until they achieve a comfortable fit. Supplemental oxygen is also used as a sleep apnea therapy. This treatment is ideal for people who suffer from central sleep apnea. There are various forms of oxygen devices that can help deliver oxygen in the lungs. Your doctor will recommend the best one for you based on the gravity of the apnea. Adaptive servo-ventilation (ASV) is a recently approved apnea therapy. The ASV device studies the patient's normal pattern of breathing. This information is then stored in a computer. When the patient falls asleep, the machine makes use of pressure to normalize the breathing patterns based on the information stored. Based on the success so far, ASV has proven to be a more effective treatment, especially when it comes to treating severe sleep apnea cases. Jaw repositioning- This is a procedure where the jaw is adjusted and moved forward from the rest of the face. The goal is to enlarge the space that is right behind the soft palate and the tongue. The result is that obstruction becomes less likely. This apnea treatment is also known as maxillomandibular advancement. Tissue removal - This procedure is also known as uvulopalatopharyngoplasty. This is a delicate procedure where the surgeon removes tissue from the throat and the rear part of the mouth. The adenoids and tonsils are also removed, depending on the severity of the apnea. This surgery has been found to be successful in stopping the vibration that causes snoring. It is particularly ideal for patients who cannot tolerate oral appliances and CPAP. Sleep on your abdomen, or on your side, but not on your back. Sleeping on your back makes it easier for the tongue and soft tissues to obstruct the airway. One way to keep yourself from rolling on your back is to sew a tennis ball onto the back of your pajamas. Elevate or prop your head up four to six inches as you sleep. Tighten the muscles in the mouth by chewing gum or holding a pencil in your mouth at least ten minutes before you sleep. Keep the nasal passages open by using a saline spray, nasal dilator, or breathing strips. Exercise regularly (at least 30 minutes every day). You might have sleep apnea if you regularly feel unrested after a night of sleep, or if your partner or family members report that you snore loudly. If you suspect that you might have sleep apnea, contact our office as soon as possible. We can help provide you with a careful diagnosis and go over your options for treatment in order to help you achieve a restful night of sleep.